Standing with his lawyer, Fred Paoletti, left, University of New Haven student William Dong, 22, of Fairfield, appears at Superior Court in Milford, Conn. on Tuesday, December 17, 2013. As his mother wailed in the back of the courtroom, William Dong, the 22-year-old Fairfield man who police said they believe was poised to carry out a shooting on the University of New Haven campus earlier this month, showed no emotion Tuesday as he stood before a Milford Superior Court judge. But instead of not-guilty pleas being entered to gun charges, as the courtroom full of spectators and media expected, the proceeding ended with another continuance. State's Attorney Kevin Lawlor told Judge Frank Iannotti he needed more time to file discovery -- information about the case he is required to turn over to defense lawyers -- and to do more investigation. With agreement from Dong's lawyer, Frederick Paoletti of Bridgeport, the judge continued the case to Jan. 14. "He will be pleading not guilty at the next court date," Paoletti said later outside the courtroom. "The state is doing its investigation, and we are awaiting the results of that investigation." During the brief hearing, Dong's parents sobbed as they huddled in the back of the courtroom. At one point, his mother's cries became so loud that her daughter put her hand over her mother's mouth. Don's father uttered something in Chinese as they left the courtroom, but they had no comment for reporters. Dong, who lived with his family on Stratfield Road, showed up on the University of New Haven campus Dec. 3 carrying two loaded semi-automatic handguns and a loaded assault rifle in his car, according to police. Taken into custody without incident, Dong was charged with illegal possession of an assault weapon, illegal transport of an assault weapon, breach of peace and illegal possession of a weapon in a motor vehicle. Both the transport and the weapon-in-a-motor-vehicle charges are Class D felonies punishable by up to five years each in prison. The other charges are misdemeanors. Dong is being held in lieu of $500,000 bond. The incident, which triggered a lockdown at UNH and several other nearby schools in West Haven, began around 12:30 p.m. Dec. 3 when West Haven police received a call that an Asian man was seen leaving a parked car outside the ShopRite supermarket carrying a long rifle. The caller said the man was walking toward the UNH campus, police said. When officers arrived, they said witnesses pointed out a blue 2010 Toyota Rav4 parked against a fence in the south side of the store's parking lot. When officers looked into the car, they saw a soft-side rifle case folded on the passenger side floor of the SUV, and behind the front passenger seat they saw four AR-15 magazines. A perimeter was set up around the car, while other officers rushed to the nearby campus, where they joined campus police already searching for the gunman. A short time later, the call went out that police had the suspect on the ground and took him into custody after spotting him outside one of the buildings,. The man, identified as Dong, was holding a 9mm Glock 26 loaded with 10 rounds and one in the chamber, police said. He also had a 40-caliber Glock 22 Gen 4 in a laptop case that was loaded with 15 rounds and one in the chamber, police said. Shortly afterward, state police and FBI agents searched Dong's car and said they found a Bushmaster assault rifle with a collapsible stock on the floor behind the front passenger seat, police said. Five magazines with 30 rounds each were discovered next to the gun, along with three magazines with a total of more than 50 rounds for the handguns. 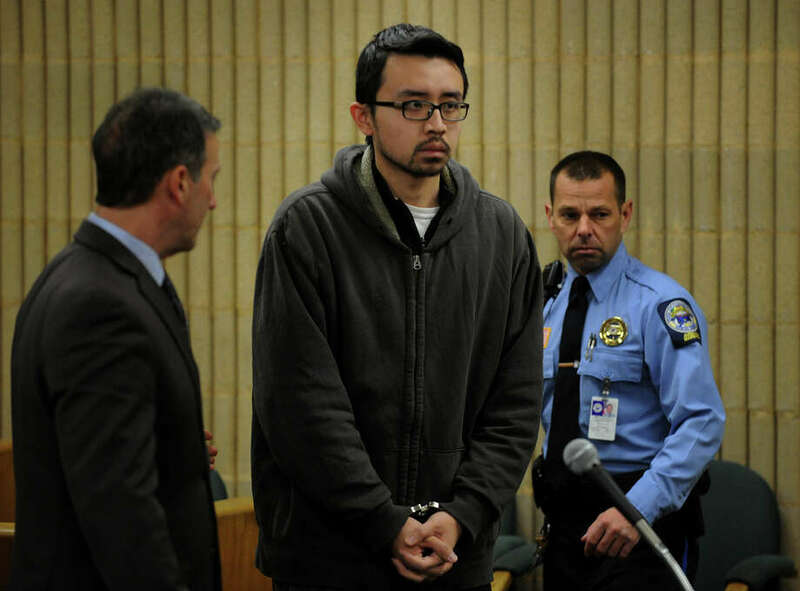 When police went to Dong's home in Fairfield, they found his bedroom door padlocked. After they broke open the door, police sources said they found 2,700 rounds of ammunition and newspaper clippings about the mass shooting in an Aurora, Colo., movie theater.